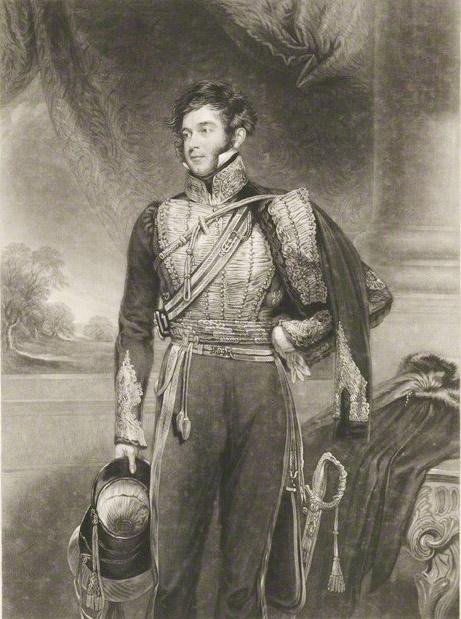 Richard Plantagenet Temple-Nugent-Brydges-Chandos-Grenville, second duke of Buckingham and Chandos (1797–1861) was woefully inadequate to oversee one of the great English mansions and estates at Stowe in Buckinghamshire. The heavy-drinking, womanising young wastrel at Eton and Oxford became the spendthrift, deceitful, litigious man who left a trail of destruction, broken hearts and furious creditors. His father the first duke, who had had to be sent overseas to avoid his creditors and many mistresses, had already encumbered an estate of 55,000 acres with debt. Yet within ten years of succeeding to the title in 1839, the debts had spiralled to nearly £1.5 million, with annual interest payments of at least £66,000 (at a time the entire estate income was less than £61,000). An earlier attempt to stem the flow of funds by marrying the unattractive but wealthy Mary Campbell (d. 1862) in hopeful expectation of a slice of the Breadalbane fortune had backfired into acrimony and separation, undone by the duke’s affairs, his illegitimate children and his suing of his father-in-law’s entailed estate. the destroyer of his house, the man whose reckless course has thrown on the ground a pillar of the state, and struck a heavy blow at the whole order to which he unfortunately belongs … a man of the highest rank, and of a property not unequal to his title, has flung all away by extravagance and folly, and reduced his honours to the tinsel of a pauper and the bauble of a fool. The family clung onto the mansion and in 1861 the third (and last) duke moved back into the empty shell on the death of his father. But the game was up and although the family struggled on until the first world war, by 1923 Stowe and its magnificent gardens had been sold and a boy’s public school established in the house. Unlike his art-loving ancestors who had stocked Stowe with a trove of wonderful treasures, the duke was not a connoisseur preferring to lavish his borrowed money pursuing a quixotic political career and on his cherished Buckinghamshire Yeomanry. 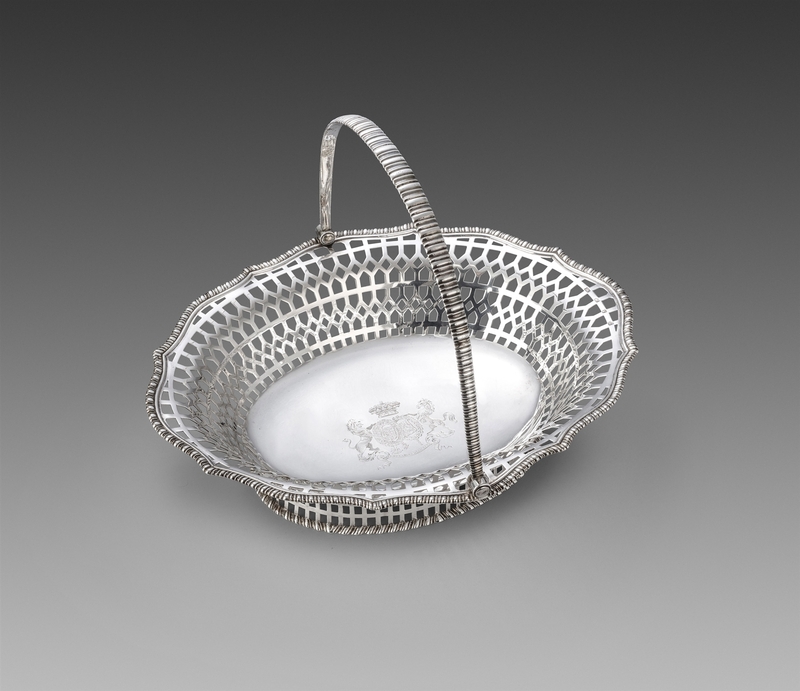 As this basket was made in 1762 but is decorated with the duke’s coat of arms following his succession in 1839 it appears likely it was recycled from the family collection and re-engraved as part of the preparations for the royal visit in 1847 when all the family plate was required for lavish display. 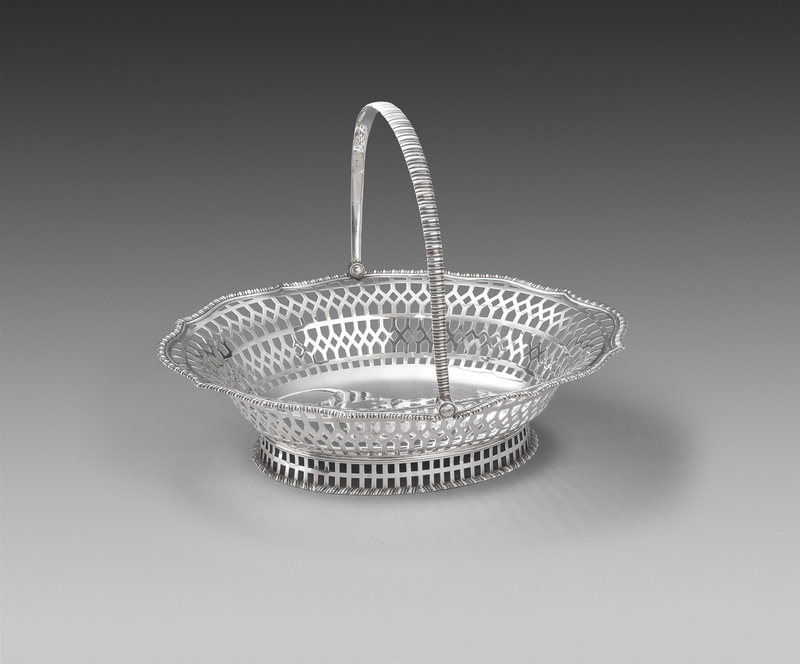 The catalogued weight of the basket matches its current weight but is less than it’s 1762 scratch weight of 34 oz. 4 dwt. 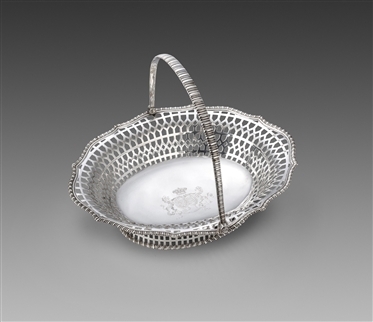 further indicating the basket was erased and re-engraved in the 1840′s. 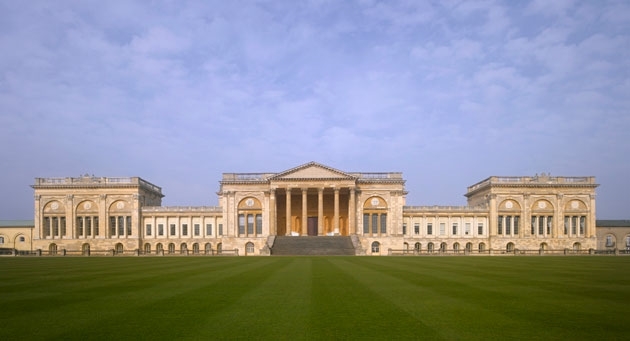 Collection of the dukes of Buckingham at Stowe House. Lot 700 Christie's sale of the contents of Stowe House, 8 September 1848.